We have Brighter Solutions Skylight Specialists services offered by Wait Roofing. We are a "5 Star" dealer and installer for Velux skylights and sun tunnels. Velux is the premium skylight manufacturer in the industry offering manual and electrically opening skylights which can be fitted with a variety of shades and blinds which can also be electric or solar powered. 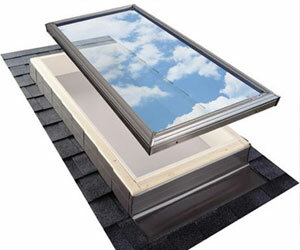 All skylights are equipped with dual pane Low "E" Energy Star rated glass.